Over hundreds of luxury cars from Jaguars and Mercedes to Porches and BMWs have been booked by the Ambanis to pick and drop their guests from the airport to the venue. 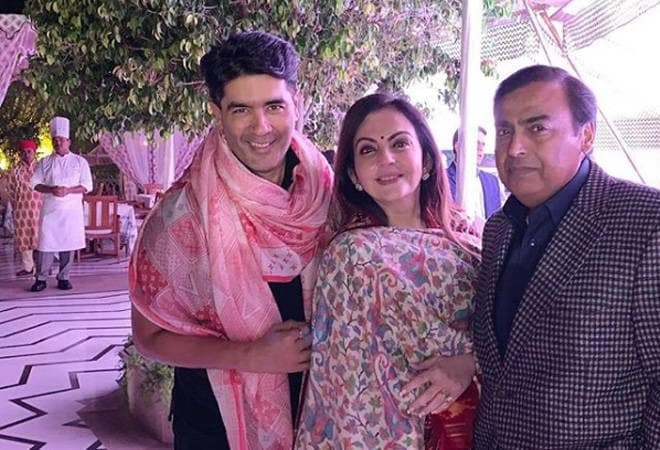 Isha Ambani and Anand Piramal are all set to kick off their pre-wedding celebrations in Udaipur from December 8. As per reports, the who's who of the business, entertainment and political world will be in attendance. And not just Indian personalities, newsmakers from around the globe are expected to attend this extravagant affair. If reports are to be believed then US leaders like Hillary Clinton and John Kerry are in the guest list. When it comes to performances, the newly-wed Priyanka Chopra who is Isha Ambani's friend is likely to perform. AR Rahman and Arijit Singh are also expected to make an appearance. Shah Rukh Khan and Karan Johar are also expected to perform in the sangeet. While it is not clear as of now but international stars like Beyonce and Taylor Swift are also rumoured to grace the stage. Guests have already started flying to Udaipur. A maha aarti is also set to start off soon. Joseph Radhik, who captured Priyanka-Nick and Virat -Anushka's weddings is expected to be the photographer at the wedding. While there has been no official confirmation, an Instagram post by Radhik featuring Priyanka Chopra and Isha Ambani is indicative of his role. "One of those happy moments when you see two Stories brides on stage!" he wrote. Reports also suggest that since the Udaipur airport is a small airport, chartered planes are being stationed at the Jaipur and Ahmedabad airports. According to an airport official in Ahmedabad, six chartered planes have been stationed there. After the pre-wedding celebrations, the families will fly to Mumbai for the wedding at Antilia on December 12.